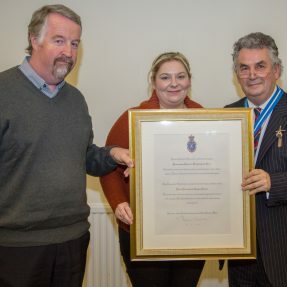 Here are Ian Addison, CISS Charity Manager and Ffion Owens, CISS Outreach Counsellor accepting our award from the High Sheriff of Dyfed, Prof.Medwin Hughes, for his recognition of the the work carried out by our volunteers. We are proud to accept the award for the contribution of CISS to the support of the community of Carmarthenshire. The Dynamic Duo run again! sponsorship and are delighted to have handed over a cheque to CISS for £1398.45. Thanks to both for their untiring support of CISS! 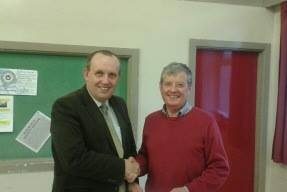 Many thanks to the council for their kind donation. Here is our Manager Ian Addison and Fundraiser Andrew Jones accepting the cheque from Council Chairman Martin Davies and Consort Ruth Thomas. 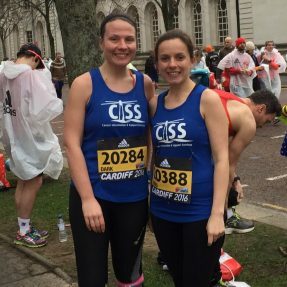 Good luck to Sophie and Mari who are running the Paris marathon for CISS on Sunday! Here they are having successfully completed the Cardiff half marathon last weekend! We are very grateful to the Hospital Saturday Fund for their generous donation of £3000. 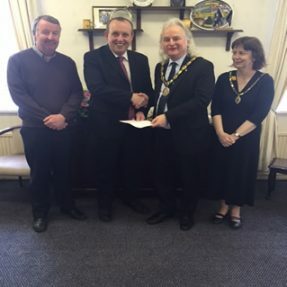 CISS has recently extended its support into the Borough of Bridgend, and this donation will allow us to sustain this. 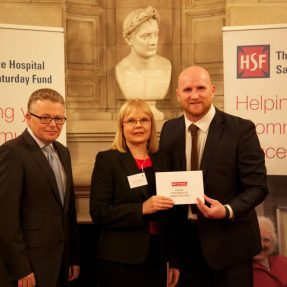 Pictured below is one of our Trustees, Dr Sharon Williams, accepting their cheque from Paul Jackson, Chief Executive of the HSF and John Hartson, founder of the John Hartson Foundation.